Yes, we can send but we can't receive, so what's the essence? Well, I finally learnt how to create PayPal accounts and if you are still missing, please refer to the article. Today we're here to talk about how to withdraw your PayPal funds to your Nigerian bank account at the normal exchange rate. What do I mean? Now take for instance, as at the time of my writing this article, April 11 to be precise, the normal Naira-Dollar exchange rate is ₦360 per dollar. 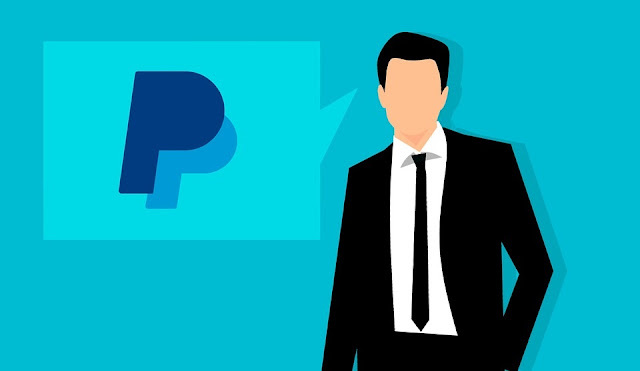 When selling your PayPal funds, you will have to sell them at ₦300 per dollar. Now, when you want to withdraw form PayPal, the normal withdrawal method which isn't openly available to Nigerians, you will be withdrawing your funds at ₦360 per dollar, saving you ₦60 per dollar. There are so many ways to make PayPal withdrawals here in Nigeria, and they all come with their pros and cons. Some will earn you some charges, some will stress you out and some aren't even worth it. We will be seeing the three chief ways below. Withdrawing your money from PayPal is very difficult, infact I better say impossible, you know why? It is because we Nigerians aren't allowed to use PayPal. However, we have been able to maneuver the whole system and now can use the account, so why shouldn't we be able to withdraw our money? Well, there are three chief ways of withdrawing your money from PayPal and we will be seeing them below. Payoneer is another top payment gateway and a big PayPal competitor. They will give you a MasterCard which you can use to withdraw your money from any part of the world. Aside that, they also give you 5 bank accounts, covering some of the world's economically strong locations. Now what you do is to create a US PayPal account and link to your Payoneer account, and you can withdraw to it. - To withdraw your Payoneer funds to your Nigerian account, you MUST have up to $1000 and not many Nigerian upcoming internet hustlers have that. - If you want to use their MasterCard, you will have to be paying an annual maintenance fee of around $35. What's more? If you want to try this out, you can sign up to Payoneer.com or better still, try the other options. Teespring is a kind of online marketplace, and it is based in the United States. All you need to do is sign up and upload your product, then purchase it with the PayPal funds which you want to withdraw. You can then withdraw the money via Payoneer. - Aside that, they will also charge you $8 for each withdrawal, and not everyone will like that. You can as well give it a try by visiting Teespring.com. For the Payoneer, also sign up via this link. Now we will be seeing the third option. This is the third and my favorite, in fact it is the only method I use. All I do is hit withdraw, and then select the amount and the I get my alert in two minutes. The sweetest part is that you can withdraw as little as $10. Now answer, will you rather have to move your money from one payment gateway to the other or just hit withdraw and get it? Well, I'd rather go for the later. ...but wait, I'm not giving away the information for free. I actually paid someone ₦10,000 to teach me this, but I'm not going to collect up to that. For just ₦4,500, I'd be giving you the pdf and after sometime, I take it back to the normal ₦10,000 (that is what other bloggers charge). Now let me tell you a secret. There is a particular side hustle that made me ₦46,800 online last month and already paying me this month. I didn't do anything serious, and all I needed was a PayPal account. Don't worry I put it in the eBook and everything is up at the discount now! I'd soon be taking it back to the normal ₦10,000, so I suggest you help yourself with a copy now. Moreover, the bonus side-hustle which I put inside could be removed anytime (it's a bonus remember!). I assure you that you can get this cheaper anywhere else. The bonus is for the early buyers, because I don't want the hustle crowded. Get yourself a copy now and start withdrawing your PayPal funds to your Nigerian account in a space of minutes. What's more? Thanks for reading along. Don't forget to drop us a comment and share to your friends!